German Alex Ridha, better known as Boys Noize, will be bringing his unique repertoire of techno, indie dance and nu-disco to KL. He has been behind the decks for over half his life, having played the world’s biggest stages alongside some of the biggest names. 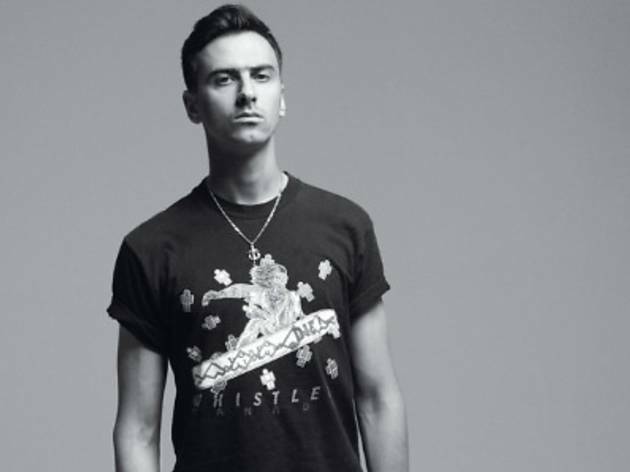 His flawless live shows led Rolling Stone to vote Boys Noize amongst the top ten ‘DJs That Rule the Earth’ in 2012. As a recording artist and producer, Ridha has created his own brand of sound, and amassed a formidable body of work. He has released three albums thus far (‘Oi Oi Oi, ‘Power’ and ‘Out Of the Black’) and multiple singles under the name of Boys Noize. He has done influential production and remix work for stars Depeche Mode, Daft Punk, Feist, David Lynch, Scissor Sisters and Chilly Gonzales. His collaborative portfolio is wide, having worked with Snoop Dogg (now known as Snoop Lion), filmmaker Mr Oizo, Erol Alkan and most recently, Skrillex (under the moniker Dog Blood) – all of which have contributed to winning him Beatport’s ‘Best Electronic Act’ three years in a row.